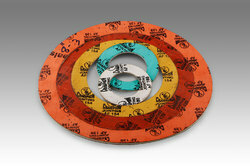 We are Manufacturer and of non asbestos ring gasket. 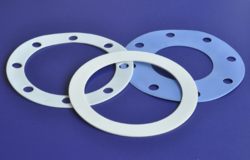 The gasket is in oval shape with a high reliable seal. These gaskets are made corresponding to the certification of API 6A of ASME B16.20 to suit API 613 and ASME / ANSI B16.5 Flanges. The Ring Gasket we offer are manufactured. Being appropriately elastic, the gaskets can provide the needed compression with a high percentage recovery. The gaskets also have a very high strength and are durable. 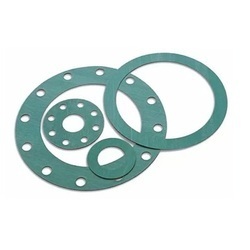 We are offering the ring gaskets at quite a reasonable price that fits the budget of customers well. SRX type gaskets are similar to RX gaskets with a only difference, it comes with a special vent hole to allow water to excape in subsea applications. We offer Spiral Winding With Outer Ring widely used as a compressor stop. Our Spiral Winding with Outer Ring can withstand very high temperature and pressure. 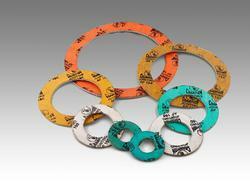 We are actively betrothed in providing an extensive range of Ring Gasket. Due to high demand, professionals develop these products in varied specifications that meet on customer’s demand. also known as RTJ. They are mostly used in offshore oil- and gas pipelines and are designed to work under extremely high pressure. They are solid rings of metal in different cross sections like oval, round, octagonal etc. Sometimes they come with hole in center for pressure equalization. We Manufacture extensive array of PTFE O Rings. These rings are used where Rubber or Elastomer fail to provide the required chemical resistance. These o-rings are made by matching PTFE bush to require cross section size. The offered rings are machined to close tolerance and surface is free from kick marks and burr.